Fixed the floating intake section on the Burnside TT V10. This Update brings a couple of V10 powered SUVs and Pickups to this modpack. With @440cid We've created an SRT10 sounds addon which you can find here. Have fun and don't ruin Pap's drag car please! I just redid the Drift V10 config due to the previous version being really hard to control. This update brings a couple of V10 Swapped Barstows to the game. They feature all of the standard stuff for this mod + newly modeled brakes! Sadly I didn't have any good and simple to execute ideas for radiator fans, but they will be added along with modeled brakes to all vehicles for the next update, as all of the classic american cars are done. No photos here, just to be different. This update brings a V10 Burnside Special, which makes this mod a modpack! I think that these are all of the features for now. Pervin.M and Nathan24™ like this. 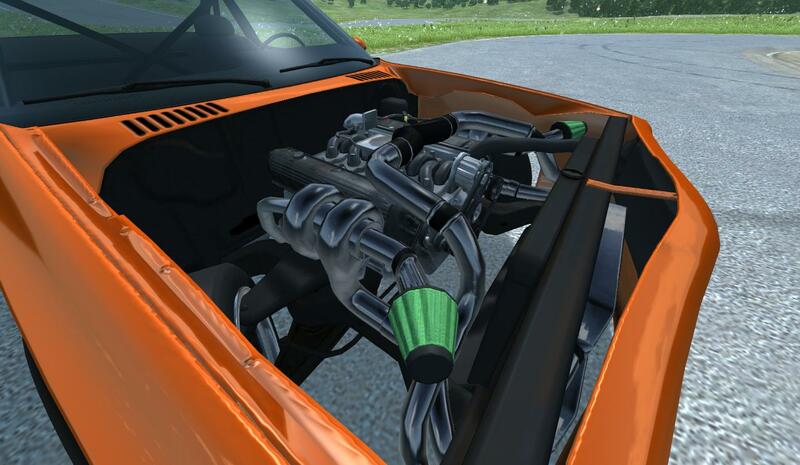 This mod has received a proper engine model!